Part I of this Chuckanut Formation story was mostly about the development of the formation and some of the interesting seaside sandstone features such as the tafoni. Part II will go into other features that the formation provides us including eocene fossils, building materials, coal, and recreation. In two previous diaries I showed a variety of fossils from the formation that I photographed from the Western Washington University Geology department’s display cases: (Flora and Fauna). The fossil photos shown here are from the field on my recent trip to the Slide Mountain area, one of the parts of the Chuckanut Formation. 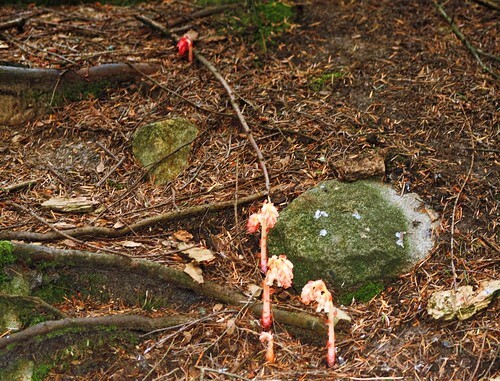 This site sits about 15 miles due east of Bellingham and 20 miles west of Mt. Baker. Although the distance is not great, access is a bit arduous with about 5 miles of steep, rutted gravel logging roads before coming to a road block and a parking area. From here my grandson and I hiked about 1.5 miles beyond the barrier to see the field of fossils laid bare by a big 2009 mud slide. 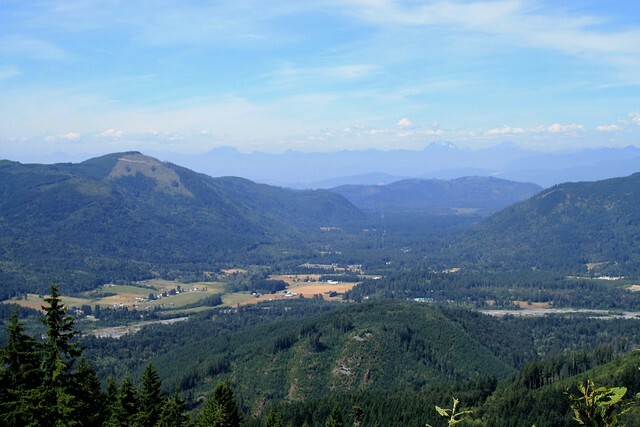 This Racehorse Creek and Slide Mountain area is an eastern part of the Chuckanut Formation that was pushed and folded into mountains that became foot hills of the Cascade range about 40 million years ago (mya). This was part of the same geologic event that uplifted and folded oceanic crust and acreted onto North America via the Cascadia Subduction Zone and formed the Olympic Peninsula. There were fossil rocks galore from large boulder-sized chunks to small hand sized pieces. On many of the smaller pieces, there were double prizes as many had different fossils on each side. Here on one side is a palm frond seen as part of the larger lead photo. 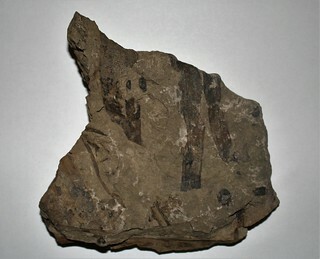 Below is the flip side of the fossil above with some other leaf markings. I can see yet other patterns layered in cracks within this same rock. 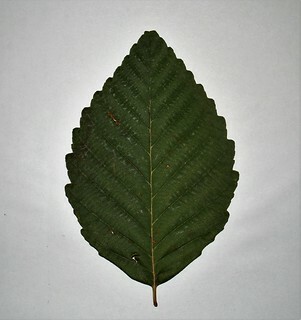 50 myo alder leaf fossil. 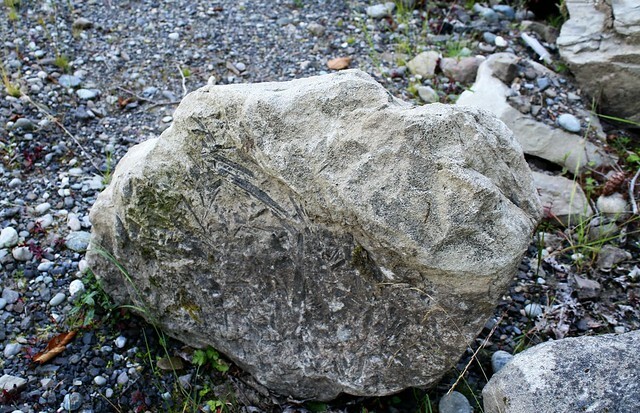 Note that this fossil is impressed into shale. I am continually amazed at how some structures such as mountains or continents change with eons and then other things like leaves seem not to change at all. 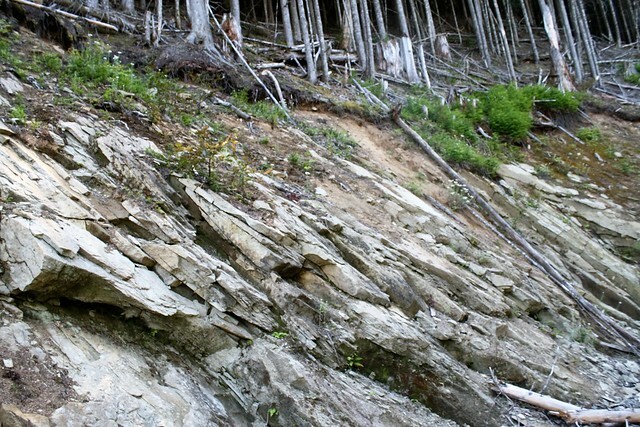 Although the sedimentary rock of the Chuckanut Formation has tremendous historical, geological, and paleontological value, it had significant economical value as well in the form of coal and quarried sandstone for building material. Below is yet another fossil but I was particularly interested in that piece of rock on the left. It appears to be something from a peat-like bog that was at some point along its way to become coal. 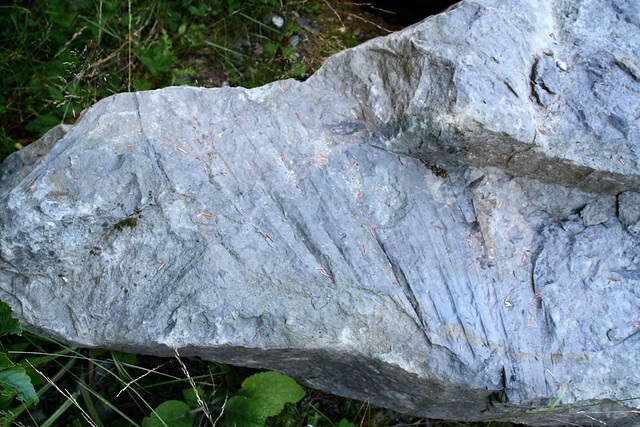 A shale fossil lying atop a piece of proto-coal. 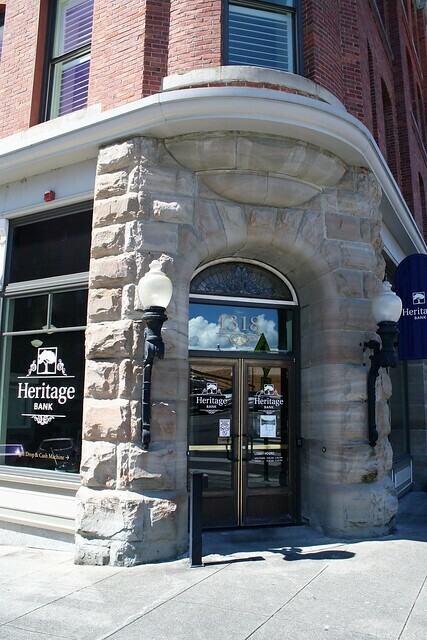 Some of the first non-native settlers in this region discovered coal in 1850 and by 1855 began mining operations. Although the coal was not of high quality, being bituminous and sub-bituminous, the mines lasted for 100 years, closing in 1955 after honeycombing under Bellingham and Sehome Hill which now lies withing the city. 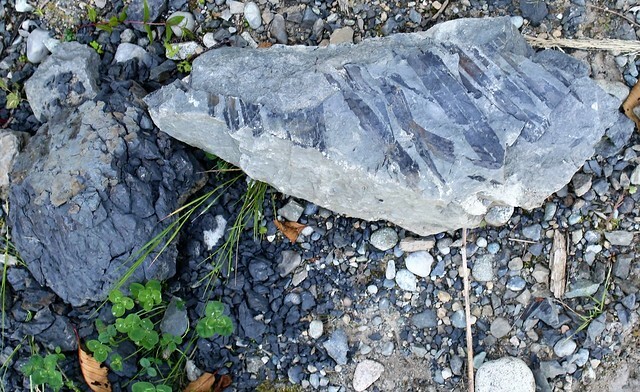 Although the coal mining lasted longer, the quarrying of Chuckanut Sandstone probably had the longest lasting impact on the region and to some extent the west. 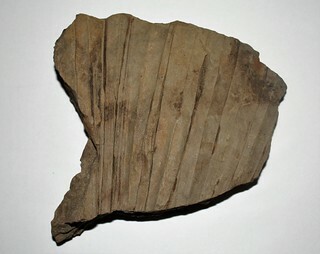 Early entrepreneurs from the Midwest and the east, came initially for the huge lumber potential but discovered that the local sandstone was abundant and of high quality. In addition they had a ready made deep water port right at the quarry site from which to transport it. 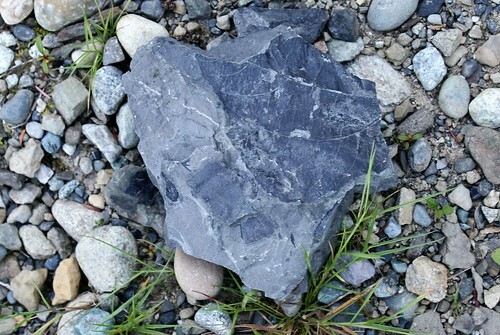 Quarrying began in 1880 and ultimately there were several quarries cutting Chuckanut stone. Early on the quarries prospered for several reasons: 1. They had high quality stone. 2. They could transport it easily, 3. The Western region was growing, 4. Seattle had a disastrous fire in 1889 that destroyed much of the then downtown area that was rebuilt with the Chuckanut sandstone, 5. San Francisco had a fire in 1906 and needed stone, and 6. Washington was admitted to the union in 1889 and needed a capital building along with various local and federal government offices. Since Charlie Roth was a member of the Territorial and then, State Legislature, much of this building and rebuilding used sandstone from the Roth Stone Quarry located at the base of Chuckanut Mountain, just outside of Bellingham, (R.b.Thomas, 1971). 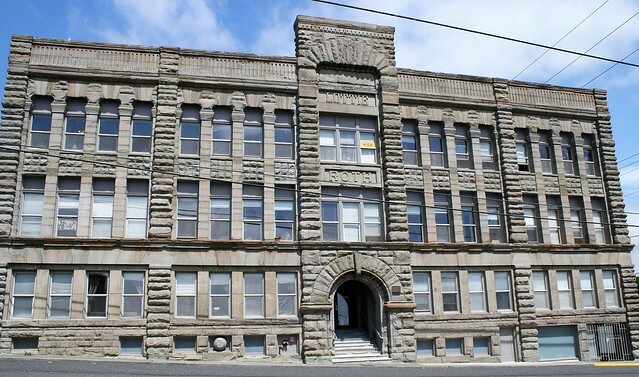 The Lottie Roth Block on West Holly in Bellingham, built by Charlie Roth, owner of Roth Stone Quarry, for his wife in 1890. Chuckanut sandstone in Fairhaven, weathered and patched- It doesn’t last forever. Despite these markets and the beautiful stone, the Roth Quarry became uneconomical as the use of cement became favored as a building material and the quarry was closed in 1908. 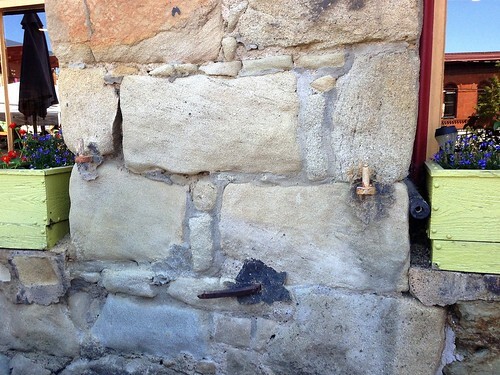 Some others hung on until the 1920s before succumbing to the changing economics of sandstone. 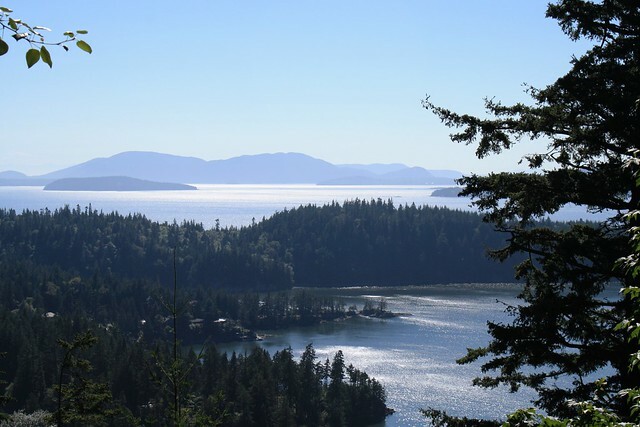 Thanks to the geologic forces of about 40 mya that folded the Chuckanut Formation into an anticline at the edge of the Salish Sea, the current citizens are afforded a variety of recreational opportunities. 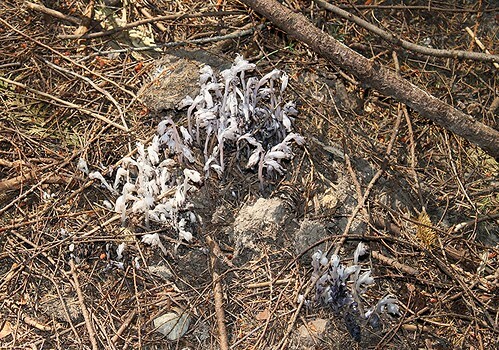 These mountains nowadays are interlaced with a large number of hiking and biking paths. 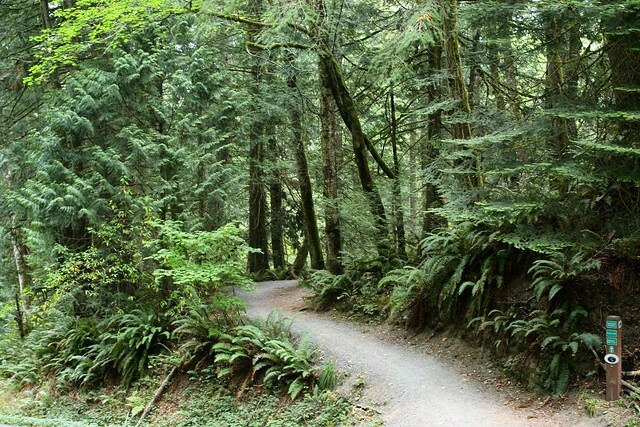 There are over 70 miles of trails on Chuckanut mountain itself which is remarkable since the mountain is only about 9 miles long. 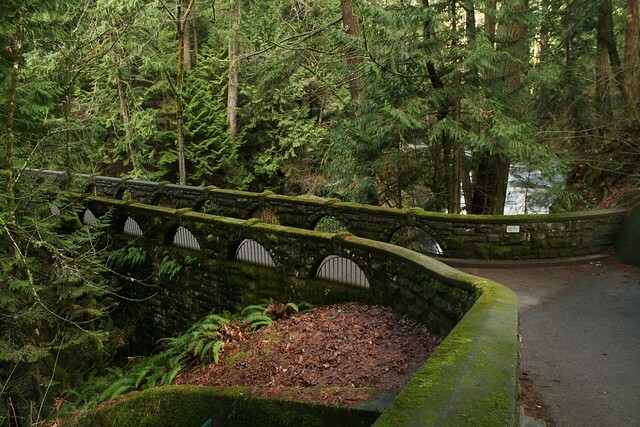 Much of the trail system is supported jointly by Whatcom County and the State as part of Larabee State Park, the first state park in Washington system. Chuckanut Mountain is one arch of the anticline and much of it is tilted at an angle of ~70 degrees. The many trails lead to destinations including several lakes stocked with trout. 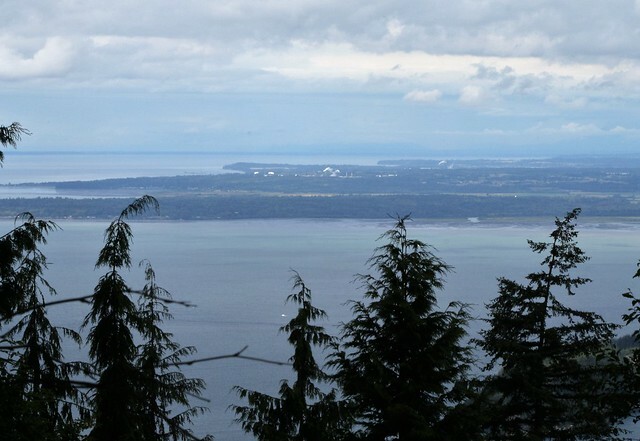 The views from atop, along the Chuckanut Ridge Trail are fabulous. Looking west and South you see the San Juan Islands. A little more south and you can see the Olympic Mountains. 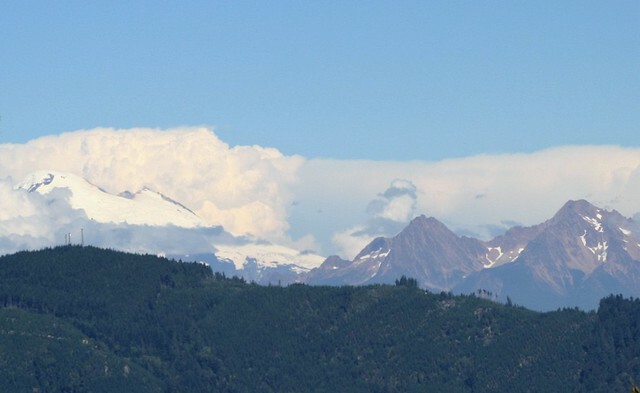 From the crest ridge looking east, you see Mt. Baker and the Cascade range. 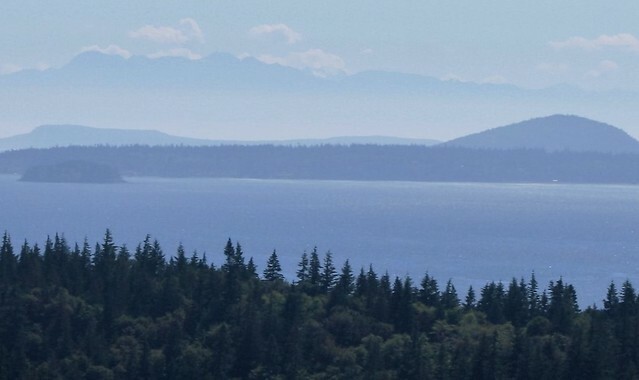 Looking Southwest across Chuckanut Bay to Bellingham Bay, Sinclair Is., and Orcas Is. 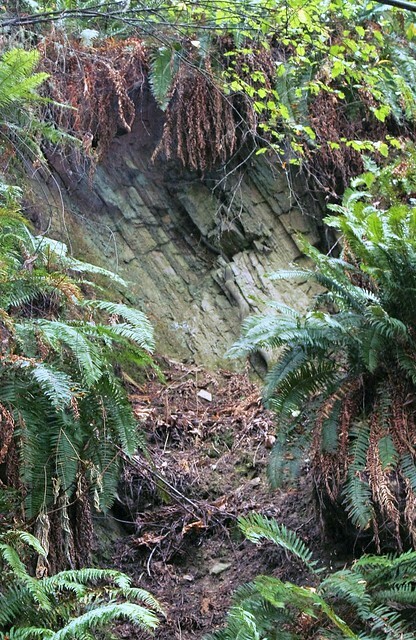 As promised, here is part II of the Chuckanut Formation post with the rest of the story. I hope you enjoy seeing some of our part of the world. Fascinating, beautifully written and illustrated exposition of a part of the country I know little about. I’d love to come back to the Pacific Northwest one day. How fortunate you are, RonK, to live in such an awe-inspiring part of the country, and how fortunate for us that you have the desire and the literary gifts to describe it to us.